For many people, a lean and striking jawline is a sign of beauty and youth. Unfortunately, genetics, aging and weight gain often stand in the way of a well-defined jawline. If you’re self-conscious about a weak chin or undefined jawline, Mt. Vernon facial plastic surgeon Dr. Jonathan Grant can help. He offers several ways to improve the lower facial region so you can look and feel your best. Neck lift is a great solution for severe jowls, or loose skin and tissue that accumulate along the jawline or below the chin. During a neck lift, excess skin is removed and the remaining skin and tissue are lifted, revealing a striking jawline. Results with our neck lifts are long-lasting, as long you maintain a stable weight with healthy lifestyle choices. “Double chin” is the term often used for submental fat or fat that accumulates underneath the chin. This cosmetic problem causes the chin to appear like it is “melting” into the neck. 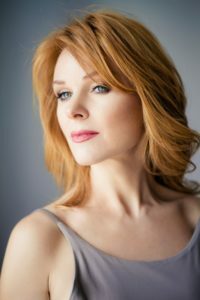 Neck liposuction is performed to remove stubborn pockets of fat underneath the chin and along the jawline. By doing so, the jawline becomes more defined and the entire lower face appears more youthful and attractive. As with neck lift, results with neck liposuction are long-lasting. If you are bothered by a double chin but not ready for surgery, Kybella® may be right for you. This injectable treatment is designed to destroy fat cells in the chin area, eliminating submental fat and creating a slimmer and better defined jawline. The results of Kybella® can be long-lasting; however, multiple sessions are needed to achieve the best outcome. Another option is Botox®, which can be directly injected in the masseter muscles of the face to thin them out. This creates a more V-like facial shape. Results with Botox® typically last three to four months and are subtle in comparison to neck lifts, liposuction and Kybella®. Dr. Grant is dedicated to helping you feel your most confident. He can recommend a treatment plan for you after meeting with you and evaluating your aesthetic needs and goals. To explore your cosmetic options for a more attractive jawline, schedule a consultation with Dr. Grant. Please call or email us today.